A week after NASA’s leading climate scientist Dr. James Hansen, actress Darryl Hannah and others crossed the line into illegal direct action in a desperate attempt to prevent coal mining and burning from ending our hopes of retaining a hospitable climate, twenty-nine protesters are standing trial here in England for a similar action last year. 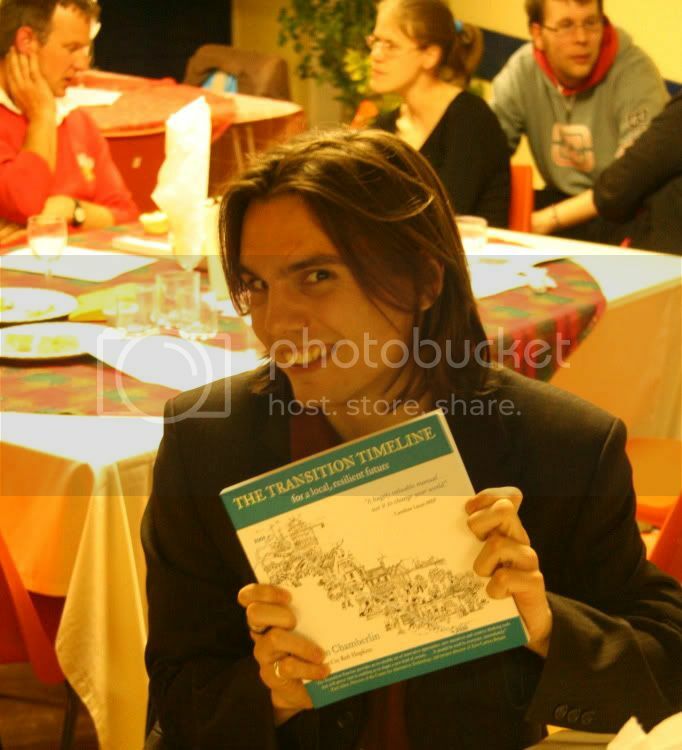 It has been another crazy whirlwind of a month, with this weekend set to be the first in five which I get to spend in Transition Town Home, having spoken recently in Bungay, Glastonbury, Belsize Park and the Forest of Dean, as well at the Transition Conference (I hate that name, can’t we call it a ‘Gathering’ or something?) in Battersea, and at the Sunrise Celebration Festival. One highlight for me was watching the world première of the movie “In Transition” and being surprised and delighted to find that I was in it (having completely forgotten the quick interview they grabbed with me at my book launch!). Another was meeting an A-Level teacher who is already using my book as a teaching aid for his Environmental Design students. 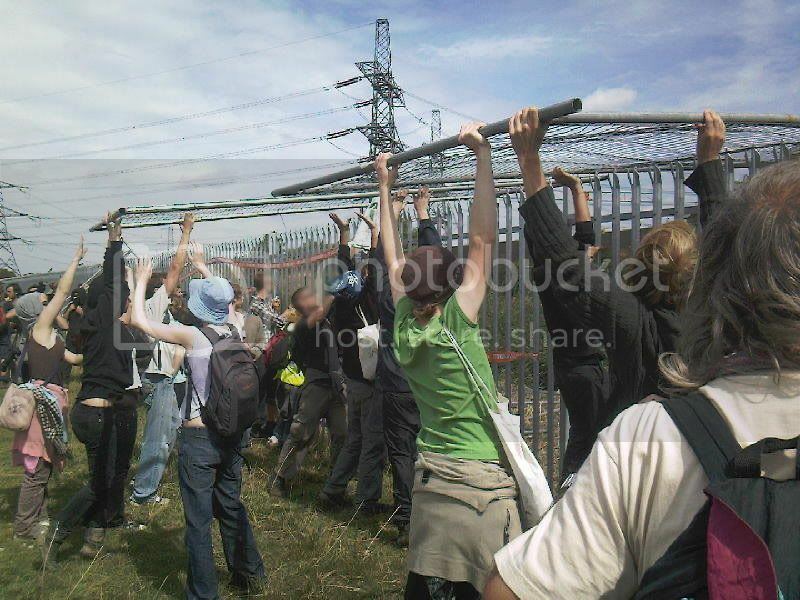 I’m back from this year’s Climate Camp, and was deeply impressed with what I found there, both in terms of the organisation of the site (carried out largely by social anarchists) and the attitude and behaviour of the protesters.